Last month (Nov.), I had a chance to visit many different places in Fukushima by chartered bus. Some of the interesting information are shown below. The places are shown in the map as asterisk 1 through 5. First place is Takashiba Dekoyashiki located at asterisk 1 in the map. This is a small village in Koriyama City close to the border with Miharu Town. 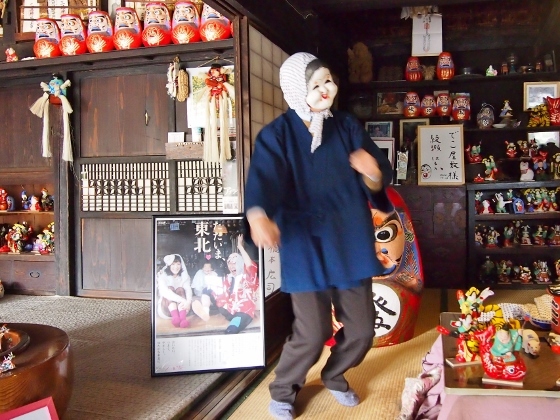 This village had been working with handicrafts called Miharuhariko which is a papier-mache craft and Miharugoma which is a wooden toy horse over 300 years. There are four workshops today each of which is producing their own design. Above photo shows one of the workshops called Hashimoto Hiroji Mingei which is located farthest from the entrance. The master is dancing with Hyottoko mask. You can find a paper with an autograph by the famous actress Haruka Ayase in the picture. 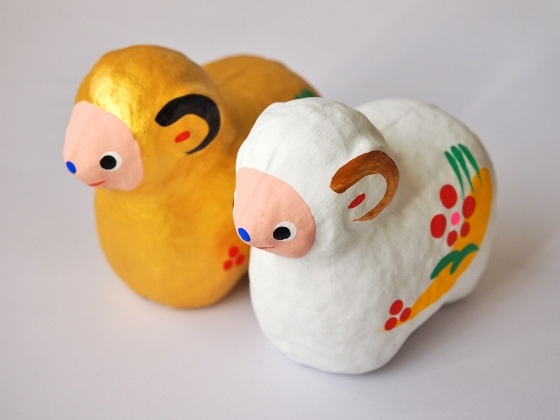 Above picture shows papier-mache sheep which is the zodiac animal for the year 2015. These are made by Hikoji Mingei Workshop which is located 2nd from the entrance. This workshop is famous that it made Miharugoma toy horse printed on Japanese stamp in 1954. 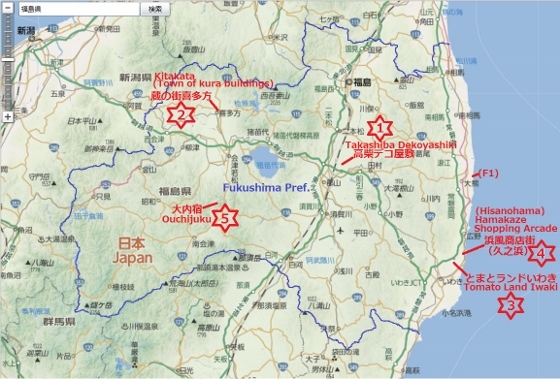 Next is Kitakata City located at asterisk 2 in the map. This city became famous as the town of kura buildings. 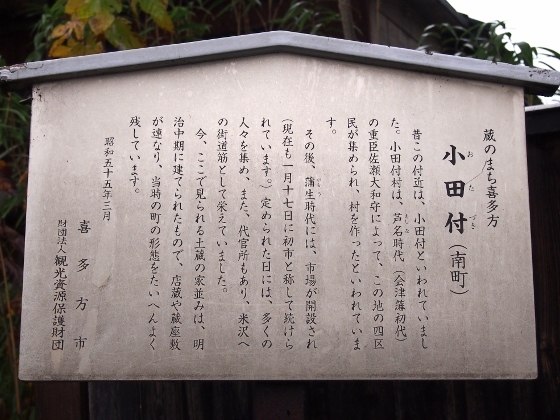 Kitakata area had prospered as the town of merchants and artisans who supported samurais in Aizuwakamatsu castle town just in the south. They had produced sake and miso from rich rice since Edo period some 300 years ago and they had built many kura buildings for producing and storage of those products. Today there are still about 2600 kura buildings in the city and people are using these kura buildings not only for producing and storage but also for many other uses such as museum, gallery, restaurant, and their daily living. 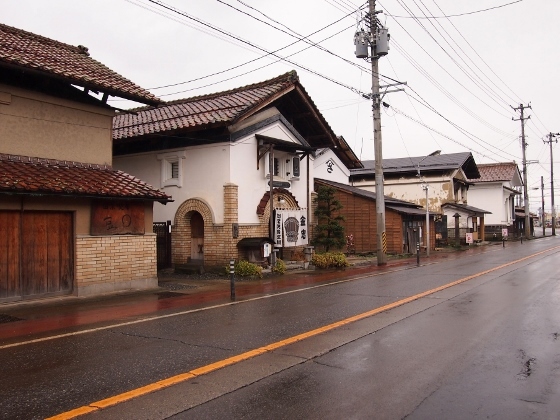 Above photos show kura buildings lined along the street in Kitakata City and the explanation panel. 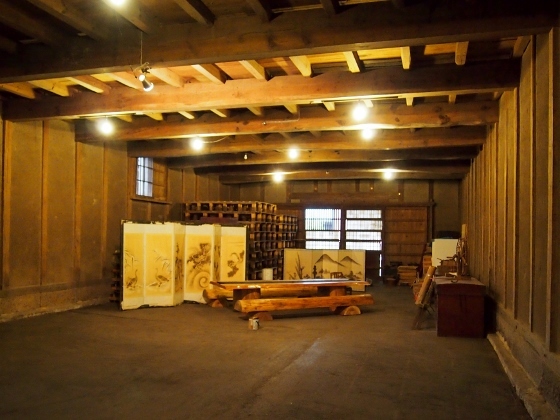 Above photo shows inside the kura building used as sake brewery. 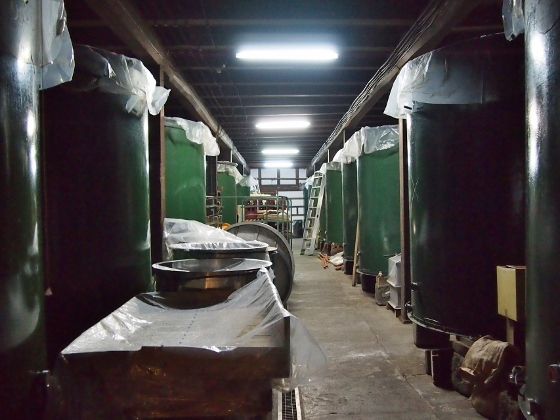 They use classical music by Mozart inside this kura building while brewing unrefined sake. This is their original sake brand called "Classic" they have developed. Above photo shows inside the kura building which stores fine arts and antiques. Temperature and humidity are low inside the kura buildings and they are also strong against fire. Next is the temporary shopping arcade called Hamakaze Shopping arcade. This is located in Hisanohama district of Iwaki City along the coastline of the Pacific Ocean. Asterisk 4 shows the place in the map. This district had suffered a big damage from March 11 East Japan earthquake and tsunami. 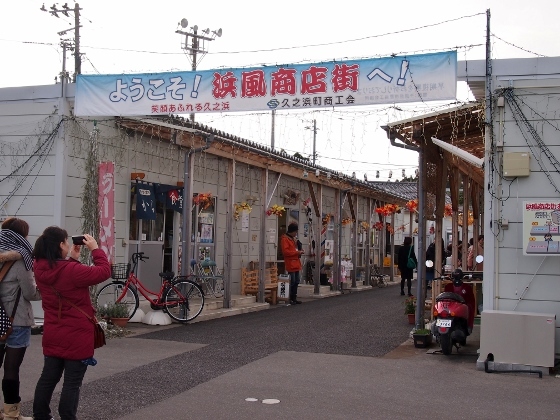 But they made a great effort and reopened temporary shopping arcade inside the ground of nearby elementary school only after 6 months from the disaster. Now they are expecting to move to their new shopping arcade next year. 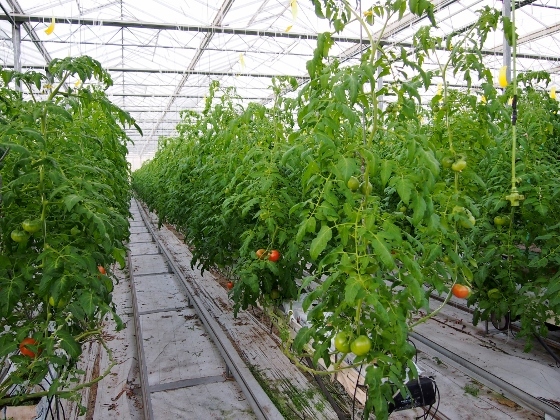 Next, we visited large greenhouse farm of Tomato Land Iwaki which is located in just southwest in the same Iwaki City. Asterisk 3 in the map shows the location. This greenhouse has been growing and shipping tomatoes since 2003. They ship tomatoes all year round except summer during which every farm ships tomatoes. They do not use soil. Instead, they use a kind of coconut fiber. Temperature, humidity, and amount of nutrients are all controlled by computers. 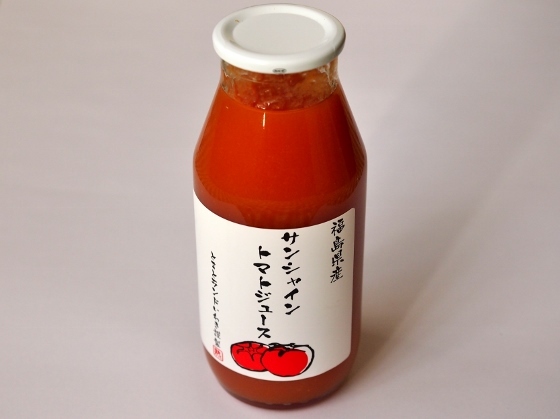 They also produce some processed food such as straight tomato juice shown above. I tasted the sample bottle they gave us when we visited. It was so delicious and healthy that I bought some bottles afterwards. These products are available in some shops in Iwaki City and they also have telephone of internet order system. 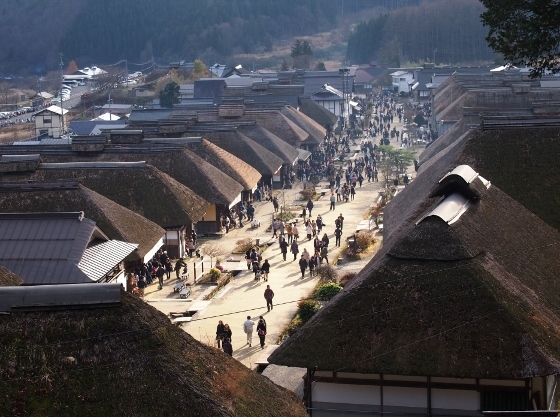 Last place is Ouchijuku village in Shimogo Town of Aizu Region. This is located at asterisk 5 in the map. Above photo shows the overview of the village from observation hill at the end of the village. I felt as if I were back into Edo period some 300 years ago. This village prospered as a lodging village for travelers between Aizuwakamatsu and Nikko along the old Aizu Western Highway. Today this area was designated as the National Preservation District of Important Traditional Buildings.